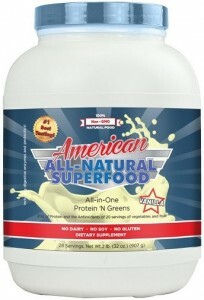 Thanks so much for your purchase of our American All-Natural Superfood on Amazon! To get the most out of it, we’d like to email you three free guides that were written to complement our Superfood. First is our Meal Plan and Nutrition Guide for Weight Loss. This guide (written by Brian Wu, a PhD in Biology and Disease) steps you through how to use our Superfood for weight loss: what to eat, what not to eat, and how our Superfood works. We have a monthly meal plan that takes you through what to eat each and every day. We have recipes for all meals, and even include a weekly shopping guide for you! Second, we have a separate printable version of the Meal Plan that you can print out and hang on your fridge. Finally, we have our own Exercise and Fitness Guide (written by Natasha Freutel OTR/L, MScOT, Hons B. Kin — she has more fitness degrees than I have children!) This guide talks about how to get started losing weight and getting fit. While we also give guidance on rigorous exercise, this guide is about EASY exercises and the psychology of how to get started. Just plug in your first name and email address and we’ll send these to you right away. 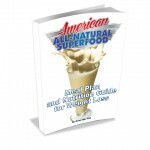 We’ll also send instructions on how to best use and enjoy your Superfood!